Phyllida Barlow has been selected to represent Britain at the 57th Venice International Art Biennale and she presents a major solo show in the British Pavilion, which runs from 13 May to 26 November 2017. 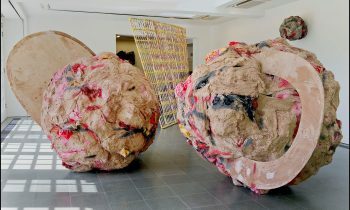 Best known for her colossal sculptural projects, Barlow uses “a distinctive vocabulary of inexpensive materials such as plywood, cardboard, plaster, cement, fabric and paint” to create striking sculptures.Drawing on memories of familiar objects from her surroundings, Barlow’s practice is grounded in an anti-monumental tradition characterised by her physical experience of handling materials, which she transforms through processes of layering, accumulation and juxtaposition. “Obtrusive and invasive, Barlow’s large-scale sculptural objects are frequently arranged in complex installations in which mass and volume seem to be at odds with the space around them. Their role is restless and unpredictable: they block, interrupt, intervene, straddle and perch, both dictating and challenging the experience of viewing.”Her constructions are often crudely painted in industrial or synthetic colours, resulting in abstract, seemingly unstable forms. Whilst studying at Chelsea, Barlow met her husband artist and writer Fabian Peake, the son of Meryvn Peake, author of Gormenghast. 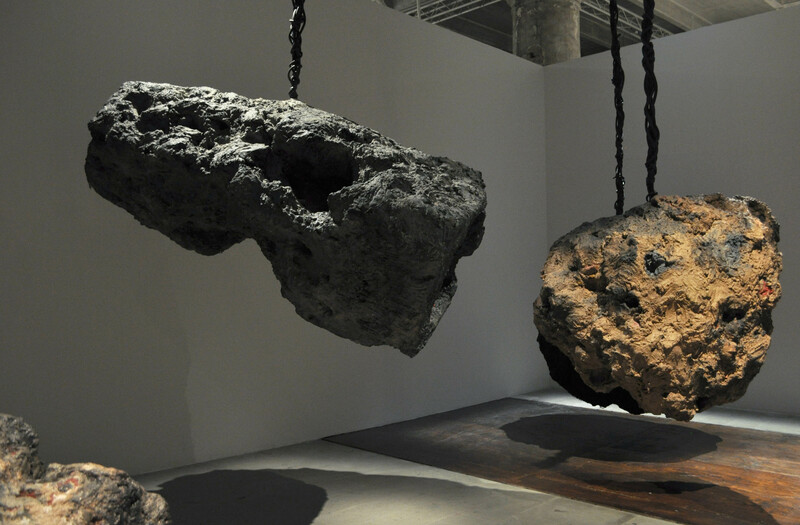 She later attended the Slade School of Fine Art from 1963–66 to further study sculpture. 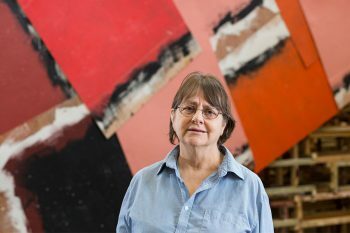 Barlow taught at the Slade School of Art for more than forty years before retiring in 2009 and is now Emerita Professor of Fine Art. 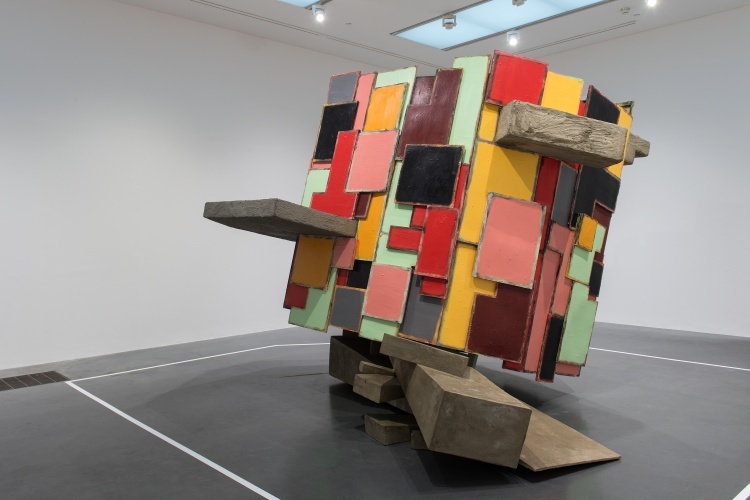 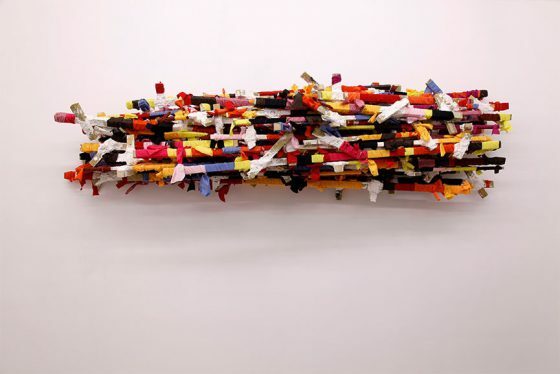 Phyllida Barlow has had an important influence on younger generations of artists through her work and long teaching career in London art schools.